“The truths in this book will unleash heaven’s resources, bring clarity to places of confusion, rescue those derailed by their own decisions, stem the tide of the dangerous forces of evil, and initiate a resurrection effect in every arena that desperately needs life breathed over it. There’s hardly anyone in the world more down to earth than Jesus. That sounds far-fetched because, well, Jesus is God. But read the Gospels and you find Jesus telling stories that ring true from beginning to end, stories you can immediately identify with, stories that make you go hmmm. The parables of Jesus meet us as we are, but don’t leave us as we are. In Down to Earth we learn that Jesus’ stories are meant to be lived into. When you do, you and the world around you are transformed for good. “These down-to-earth stories not only hold the power to entertain, intrigue, and make us curious but also have the power to help us clearly see and know God, make a fresh start, set priorities, forgive, maximize our talents, cope with evil and suffering, and love others well…” hit the button to keep reading! The parables of Jesus don’t leave you the same. Start the Youversion bible reading plan as Tom guides you through seven days of living out the parables of Jesus. Choose your favorite retailer to get a copy of Down to Earth for you or your church. Great bulk deals are available at navpress.com. Best deal for 3+ copies! 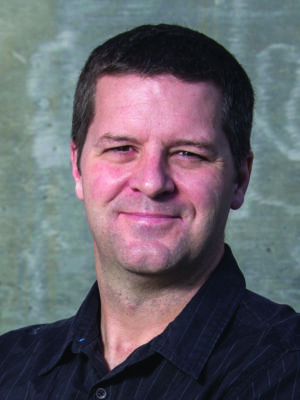 Tom Hughes is the lead pastor of Christian Assembly in Los Angeles, and the author of Curious: The Unexpected Power of a Question-Led Life. A rabid Pittsburgh Steelers fan, Tom loves the mountains and still enjoys kicking the soccer ball around from time to time. Tom and his wife, Allison, have three children: Caleb, Sophia, and Micah. The gospel is God’s flesh and blood embodiment of life-giving love. Jesus Christ is that life, the living center of that gospel. Tom Hughes is utterly convinced this Jesus alone provides the good news we all need. In Down to Earth, Hughes takes us into some of Jesus’ most powerful stories that to this very day still invite and provoke us to find our truest and fullest life in Christ. Relish these stories and respond to Jesus’ call to life, life abundant. What I learned through the pages of Down to Earth is how Jesus used parables to mirror back to us how valuable we are to him. These mirrors are meant to show us not how we see ourselves but how he sees us, as image bearers of God. Jesus not only sees us as precious but invites us to see this ourselves, as a way to step out of hiding and into deeper communion with him. Tom articulates how Jesus came not only to prove the existence of God but also to demonstrate the character and compassion of God—and he did this most powerfully through parables. 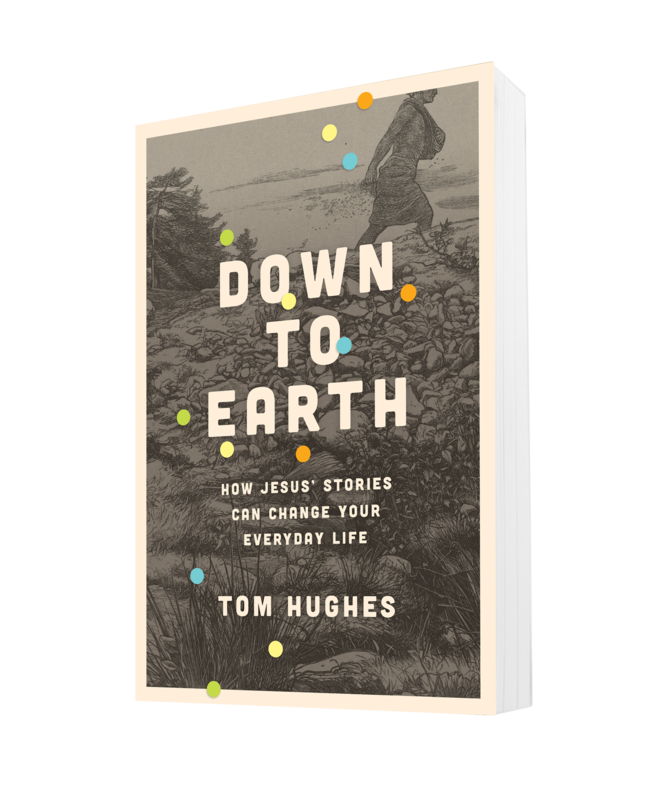 Tom Hughes’ book, Down to Earth: How Jesus’ Stories Can Change Your Everyday Life, declares with great joy who God is, whose we are, and the invitation to become changed people. Tom writes and teaches with years of ministry and leadership experience, pastoring us into the stories and heart of Jesus. You won’t regret reading this book that exclaims the power of the greatest story ever told! The beauty of this book is that it fully lives up to its title! Tom brings heaven’s stories down to earth for the here and now with real-life application, and you find yourself captivated by the Master Storyteller, Jesus, along the way. Every one of us loves to hear a good story. We weave our own lives into its fabric as we discover that we can identify with the reality it unfolds. There is such joy in finding that in the grand stories of Jesus, there is a place for us. 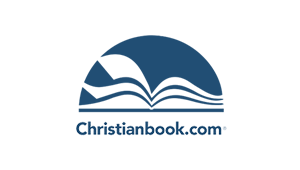 Let Tom Hughes guide your heart in finding yourself on the pathways of Jesus’ stories that bring meaning to your life and godly perspective to living. Jesus’ stories have the power to unlock the deepest realities of our lives: our regrets, disappointments, failures, and fears. Hughes helps us wrestle with these life-changing stories . . . with helpful discussion questions at the end of the book. This book contains hope and good news for all . . . dig in!